Picture Windows Add Curb Appeal and Interior Charm! Enjoy the view with an energy-efficient picture window from Tight Line Exteriors. By adding just as much exterior appeal as they do interior charm, beautiful Atlanta picture windows create a focal point in any room. When you’re considering adding a picture window to your home, contact Greater Atlanta’s premier window company: Tight Line Exteriors! We provide the highest-quality windows at cost-effective prices to give you the best value for your money. Our BBB accreditation is a testament to our commitment to exceptional customer service, and our professional affiliations with the Certified Contractors Network and Guild Quality mean that we are always held to a high standard of excellence. So for exceptional Atlanta picture windows, call us, your trusted resource! Replacement picture windows are a great choice for a living room or dining room, but they are also an excellent addition to any space where extra natural light is needed, such as an attic or even a garage. Because these windows don’t open, they offer expansive views while remaining extremely energy-efficient. Top-Rated Windows: We install only the best, most energy-efficient windows on the market, so you can expect excellent performance that will last a lifetime. Expert Installations: Great windows won’t perform well if they are improperly installed. Our team has years of experience to ensure a flawless installation. 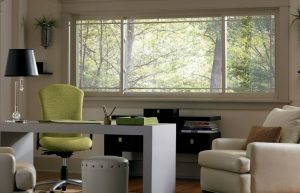 Flexible Financing: It’s easy to budget for your replacement picture windows with our simple financing options. All-Inclusive Pricing: All of our windows come standard with features that cost extra at other window companies. Enjoy amenities like ProSolar low-e glass, Argon gas-filled spacers, locks, trim touch-ups around new windows, and more! Learn more about how our gorgeous picture windows and other quality replacement windows can add value and energy efficiency to your home! Give Tight Line Exteriors a call today, or fill out our online contact form to schedule your free, no-obligation estimate.